Here's hoping for something exciting! The timing is a bit weird, though, with Halloween, T-day, and Christmas all in the next couple months. Who knows? Using 2 player you can see the new and as yet, unfinished arena. 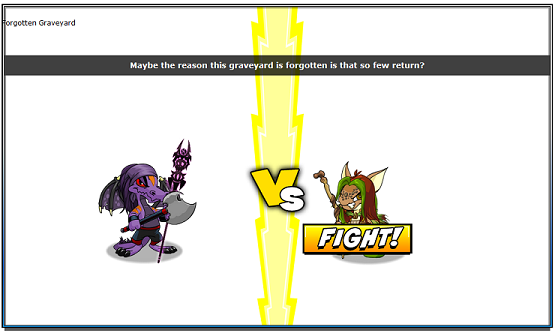 More updates to the Forgotton Graveyard Arena. Not completely ready yet, the name still has to be changed and it needs a shield icon. Interestingly enough the background is very similar to the Spooky Food Eating Contest. Is TNT giving us a clue, or is this just a case of recycling old art. That second answer is ridiculously optimistic. Has JS converted anything from Flash yet? By the time they get around to it, I fear Neopets won't be around anymore, given the current rate of attrition due to unfair freezings, hackings, and general fed-up-ness. 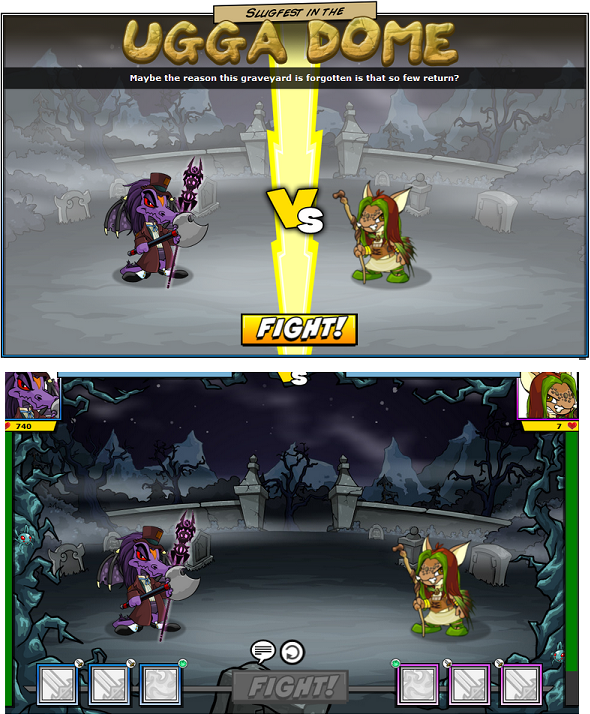 Neofriends Online has come out of Beta!! As well as showing your friends online, it now comes with a Neomail button along side each name. Pickles, it was actually recommended to me for account security reasons to not be in stealth mode - that way if you're having trouble logging in and NFs are around, they can let you know when your account was last active - which could help you realize whether it's compromised (and if you have a side that's NFs with your main, you can do that yourself). And that information might help you get it frozen for protection that smidge faster. TNT are now on Instagram New Instagram Page posted on Neopets Message Board. That is a good idea. Now I just have to remember how to turn stealth mode off, hah! (And I leave my computer on a lot, too, but I think it's based on your last actual page load or something, IIRC). They do occasionally update the FB page, and if you ever have a ticket stuck in limbo, you can send a message on FB with the ticket number, and they'll poke the support team to take care of it. (Supposedly they've fixed the ticket system so that new tickets are not stuck in limbo anymore, so it's recommended that if you have one, you close it and open a new one - if you don't close the old one, support will just close the newest as a duplicate but ignore the old one. So last week it was the Neofriends...this week, it's apparently the Caption Contest!!! It was a real surprise to see the CC back, but by the looks of it, nothing has changed. I thought TNT (JS) were going to work on a way to stop the cheating (botting) of the votes. Just by removing how many votes a person has received would help. It also seems that something went awry with this competition, the entries were picked and uploaded in about 4 hours and well before the News was released stating that the comp was back. Good luck to us for upcoming contests!